Updates for Carers Lewisham Mental Health Forum. The next Carers Lewisham MH forum is on the 19th of January over at Carers Lewisham. The report focuses on the pressures and changes to the mental health services in England. The report is NHS England’s five-year plan for NHS mental health services. 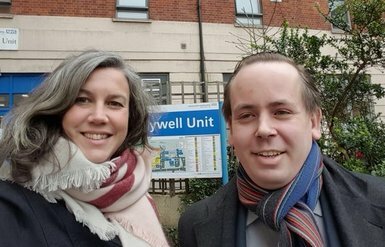 MP Heidi Alexandra and Jonathan Slater visited Lewisham’s Ladywell mental health unit. I met with them along with SLaM’s clinical academic members, SLaM’s Chief Exec and the Psychological Medicine Director. Wandsworth & Westminster Mind volunteer Mark Schueler is organising a relaxing walk over at Tooting Common. You can check out their meet-up site for more details. Healthwatch Bromley and Lewisham have released a brief survey asking what are the three most important issues to carers around mental health?